The Bernhardt Fudyma Design Group was commissioned to perform the first graphic update of the familiar Nabisco triangle since it was first introduced in the 1950s. 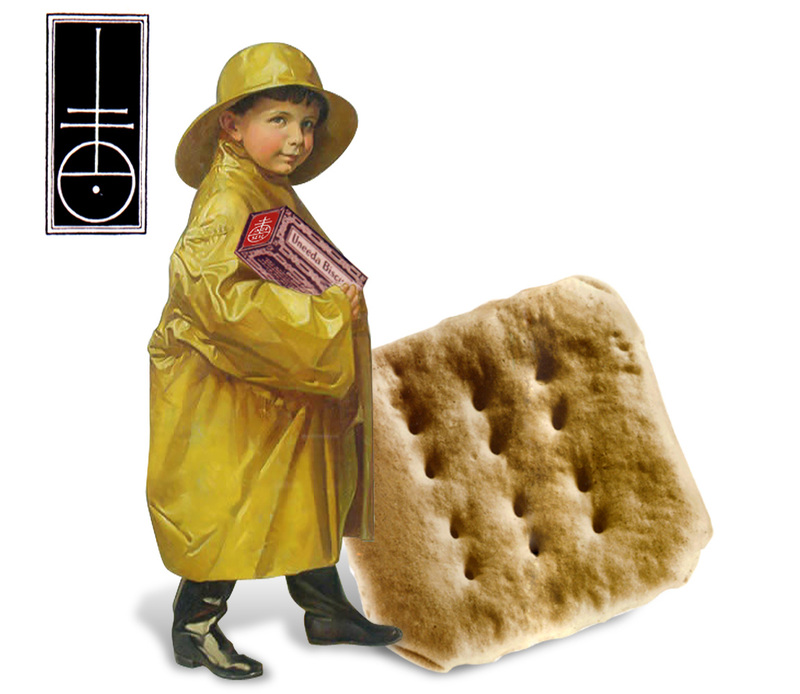 During our involvement in this project we became aware of an interesting visual evolution that began over a century ago as the combination of an ancient symbol, the shape of a new cracker product and a revolutionary packaging technique. At the end of the 19th century, the newly formed National Biscuit Company took its first step toward the creation of what would become one of the world’s most recognized logos. Adolphus Green, the baking giant’s first chairman, took charge of developing an entirely new brand-name cracker to be sold in a package specially designed to preserve its crispness. A symbol for this product, and the company itself, was needed for use on the package and in advertising. Mr. Green found a simple design – an oval crowned by a double-barreled cross – while looking through his collection of rare books. During the 15th century this design was used as a pressmark by the society of Printers in Venice. Prior to that, in the early Christian era, the mark symbolized the triumph of the spiritual over the worldly. Framed in the octagonal shape of the new ‘Uneeda Buiscuit’ and filled with the word ‘In-er Seal’ (the name given to the unique wax-paper-lined package), it became the company’s first official trademark in 1900. During the next five decades, the oval enclosed various combinations of the company’s initials, the Uneeda brand name and, finally, the current acronym ‘Nabisco’. In 1952 the now familiar red triangular corner seal was developed by Raymond Loewy Associates as a more versatile mark to be used on the front of all Nabisco packaging. Our latest logo design update introduces numerous refinements to increase legibility, improve reproduction accuracy and convey a more contemporary and friendlier look. This new mark now appears on the millions of Nabisco products sold worldwide every day. The new mark designed by the Bernhardt Fudyma Design Group and rendered by Gerard Huerta now appears on all Nabisco packaging.